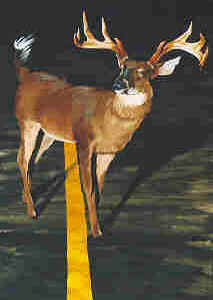 William Schmidt's Blog 8/5/2007: Deers in the stock market's headlights. likely to freeze when encountering an overwhelming threat. It's basic biology. doing nothing can be be very costly if a bear market is starting. The stock market is not so kind. It will not wait for a therapeutic break through. A': None; the bulb will change itself when it is ready. stake in their make-believe world. We hope the way our predictions have a way of coming true, will help you. Get Peerless. It is the cheapest market insurance you'll ever buy. 35 years that such data has been kept. Will the Fed bale out brokerage stocks as they did in 1987 and 1998? 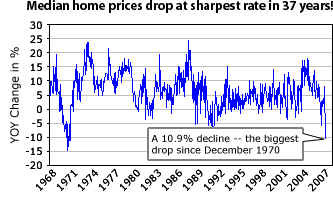 Housing and sub-prime defaults and bankruptcies may be just the beginning. 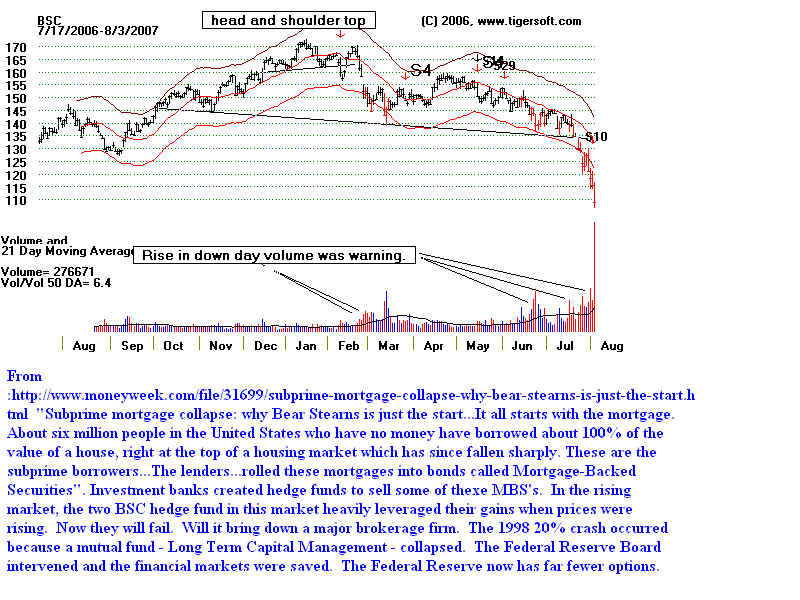 "When have financial stocks ever been so over-leveraged? 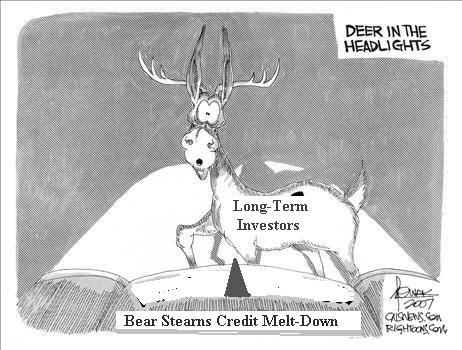 (Jim Rogers, CNBC 8/7/2007) Is a crash a "done deal?" Bear Stears - BSC is collapsing, way ahead of the rest of the market. Why? before You Will Buy Our Peerless Stock Market Timing? began to be too obvious to ignore and not pass on. June 18, 2007 - Global Boom or Bubble? June 19, 2007 - Big Declines in Years Ending in "7". at some point in a year ending in '7' is 23%!" June 22, 2007 - Summer Rally? Weak Market? They Are Collapsing in A Bull Market. July 2, 2007 - Where Are The US High Tech Jobs Going?